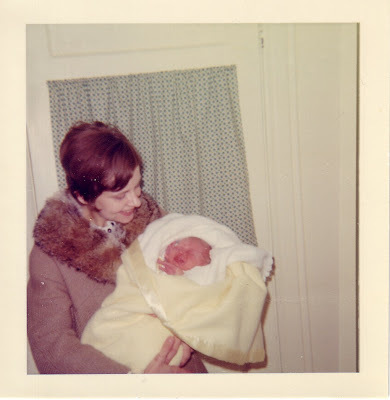 I was born on a very snowy Sunday night in 1969; here is my mom bringing me home from the hospital. Bex is hosting Funky Foto Flashback over at Adventures of the Grigg Boys. She has another adorable baby picture; be sure to pop by!